Meet and talk with community and business leaders at our luncheons, after hours events, Business EXPO, motor coach trips and other events. Members get advance email notice on special events and opportunities. Our monthly luncheon is 1st Tuesdays of the month, 11:30 am - 1:00 pm, visit website for location. Luncheon sponsorships are available for companies, organizations or individuals which allows the sponsoring entity a 5-minute lunch presentation and able to place promotional items or cards at lunch place settings (about 50-80 people) and have your logo and company information promoted on our highly-viewed website for one month. Lunch Sponsorship: Members, $100, Non Members $150. Contact glenn@viningsbusiness.com for an available month. We have a schedule of "Top-of-the-Line" community, education, business, celebrities and political leaders to keep you informed on issues that affect your business. Previous speakers include: US Senators Saxby Chambliss and Johnny Isakson, Nathan Deal (as governor candidate), Congressmen Tom Price, Phil Gingrey and Barry Loudermilk, Atlanta Braves President John Schuerholz, Pres/CEO Braves Development Co Mike Plant, Wellstar CEO Reynold Jennings, GA Dept of Labor Commissioner Mark Butler, Cobb County Commissioners Tim Lee, Bob Ott and Mike Boyce, Cobb Chamber President David Connell, Insurance Commissioner John Oxendine, reinvention specialist Jim Mathis, Turner Magic founder Joe M. Turner, High Achivers guru Doug Grady, former Atlanta Falcon Michael Reid, marketing trainer LynnMarie Earl, Business Coach Donna Lang, TV weatherman & Atlanta personality Paul Ossmann, Georgia SBDC Director Drew Tonsmeire, IT Specialist Chad Massaker, Action Coach Russ Hall and Rick Crain, Contacts-R-Gold founder Terry Arrington, Certified Health Coach Joy Povenz, LinkedIn Specialists Oliver Yarbrough and Gregg Burkhalter, motivational speakers Randy Gorek and Glenn Carver, America's Fitness Coach Dave Hubbard, "TrustDALE" President Dale Cardwell, Atlanta Business Chronicle Publisher David Rubinger, Economist Roger Tutterow, Technology of Association Georgia (TAG) President Larry Williams, and other business leaders. $100 per month 3 month minimum, billed $300 quarterly, price is for camera ready pdf ad, if you need help with ad, contact us. We have a regular after hours event in the community the 3rd Tuesday of the month usually from 5:30 pm - 7:00 pm. The event is usually FREE for members and guests and visitors are welcome at nominal cost (if it is a regular event) and usually includes some after hours adult drinks and food. Guest usually RSVP in advance (unless stated). Past sponsors and locations have included: 101 Steak, Copeland's Cobb Pkwy, GRUB Burger Bar, Social Vinings, Fidelity Bank, VHPS, SOHO, Garrison's, Marlow's, FIGO Pasta, Academy Ballroom, The Aberdeen, Tilted Kilt, South City Kitchen Vinings, Delmar Gardens, The Grape, Keller Williams, Atlanta Courtyard Vinings Hotel, Sip @ Riverside, Century Ridge Apartments, Cobb Galleria Inn, Old Vinings Inn, Meyring Law Firm, La Paz, Holiday Inn Express Galleria, Vinings Main Condos, Vinings Corner Apts, First Citizen's Bank, Maggianos Cumberland, Mutual of Omaha, Hotel Indigo, 53 Bank, Noche' and others. Additional events are held and announced frequently. If you want to sponsor and promote your business or hold an event at your location or a location in Vinings, just contact us, glenn@viningsbusiness.com. 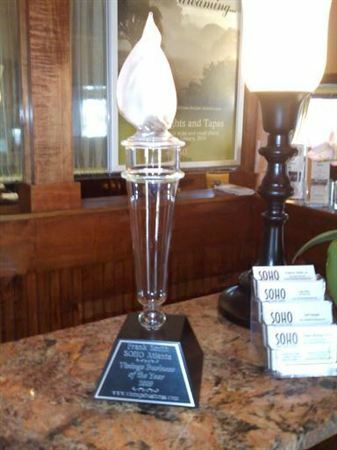 The VBA participates in events that benefit Vinings area business and residents. Look for announcements on the website. We are always looking for volunteers to contribute their expertise and help with our Community, VBA Membership, Programs/Communication, EXPO and Vinings Business of the Year. To participate, contact us. VBA Executive Club, a subset of the VBA membership, is on hiatus, please contact us if you want to participate in this group. Future meetings will be posted on the website. Food Sponsors Accepted; food sponsors will just bring food samples, 6 spots available, no exhibit fee, contact glenn@viningsbusiness.com with questions. If a company or restaurant or food provider wants to participate but does not want to exhibit or provide food samples, you can provide one or more restaurant gift cards or a Visa/MC/AE gift card(s) as door prizes, suggested value $50, or $100 and we will announce and promote your gift at EXPO. Bring your door prize to the EXPO. Business Services (includes real estate). The VBA has contributed to the proposed Vinings Vision Plan for development in the area. Contact us for additional information. The VBA pioneered this event since 2010. 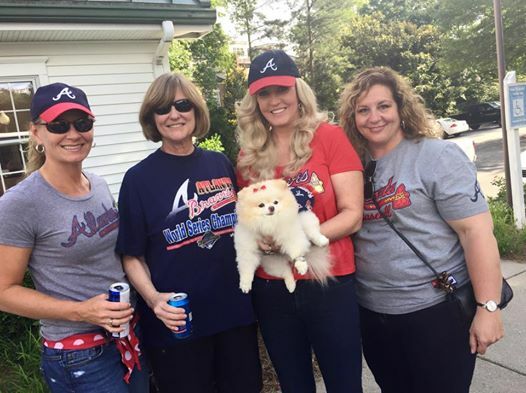 At least once per year, usually on a 3rd Tuesday, we take a luxury motor coach to a Braves home game. The next trip is 4/16/19, check the website for details, on how and when to purchase tickets, and sponsorship opportunities. Do the Chop Chop with the VBA as our guys play in our backyard in Cobb. One Ticket Price Includes Game Ticket, Some Food/Adult Drinks at Reception, and Luxury Motor Coach Transportation To and From Stadium (no parking hassles, if you go on your own, parking alone is at least $20-$25). 6:30 pm Coach leaves for SunTrust Park, game time 7:20 pm. The VBA participates in the Cobb County Chamber "JAM" (Joint Association Meeting) or the "Elevate 2018" events usually held in conjunction with the Cobb Chamber Business EXPO usually held at the Galleria Centre. We participate in the "Cobb Connections" networking group that meets at the Cobb Chamber twice a month, and the "Cobb Chamber First Monday Breakfast." We are active in the Coalition Of Cobb County Business Associations (CCCBA) meetings/events and we participate in the annual business association training to help improve the efficiency, function and promotion of the VBA. We recognize Cobb Public Safety during our regular Oct lunch each year, with a free lunch for them and thank them for their outstanding service to the Vinings community. We also donated to help fund a police dog for the "Cobb Police K-9 Unit." We recognize Military Veterans during our regular November lunch each year, with a free lunch for them and honor them for their service. 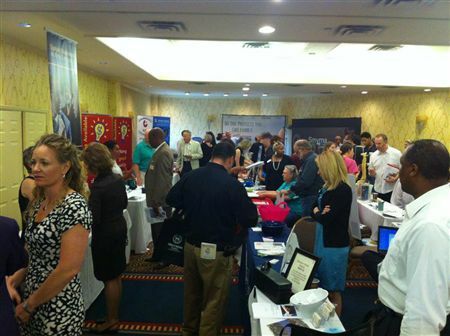 The VBA works with the Pro Business Channel and exhibits at their events. We work with the Vinings Historic Preservation Society (VHPS) on events and publicity. We have contributed to the annual "Thanks for Giving" food drive administered by the Center for Family Resources. We have a prominent presence and partnership with the Metro Atlanta Business Association, for the 20-County metro area. We work with "The Big Event" on events and publicity. The VBA is active in the "Greater Atlanta Business EXPO" held a few times per year in the area. The VBA "Vinings Business and Food EXPO" usually in March is one of the most highly anticipated and visited events each year. 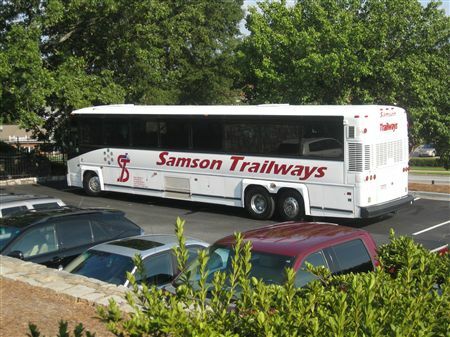 The VBA "Legendary Braves Motor Coach Trip" has been going on for 8 years, and this is BEFORE the team moved to Cobb. If you have a non profit organization in the Vinings area, let us know your mission and activities. Each year we recognize 5 outstanding finalists for the prestigious VBA Business of the Year award, given to a business or organization that has impacted Vinings in a special way. Join us at our November monthly luncheon each year as the 5 Finalists get to speak to our Association luncheon attendees and share "some of their secrets" on how they have succeeded and what Vinings means to them. Then, the winner is announced the following month (December) at the VBA luncheon. This event has always sold out, so plan on attending, the 1st Tuesday December event, mark your calendar and get your tickets early. The custom winner award is generously provided by Lillie Glass, Don and Thom Lillie, contact them at Lillie Glassblowers, or 770 436-8959. If you have a nominee, please contact glenn@viningsbusiness.com by October 1 each year with a description on why your choice should be considered and include basic contact information. From 2014-2017, the VBA website has received more than 80,000 hits. In 2017 alone VBA members received an average of over 1900 people each month able to look at YOUR company profile included in your membership. When you join the VBA you receive a full page in our Membership Directory, with a unique URL. You can use this link to direct your clients and potential customers to "your company" site. Members are able to download their company info including photos, logos, blogs, Social Media links, (FaceBook, LinkedIn, Pinterest, Twitter, Google+, YouTube), email and contact info to promote their business. An incredible benefit for our Members. 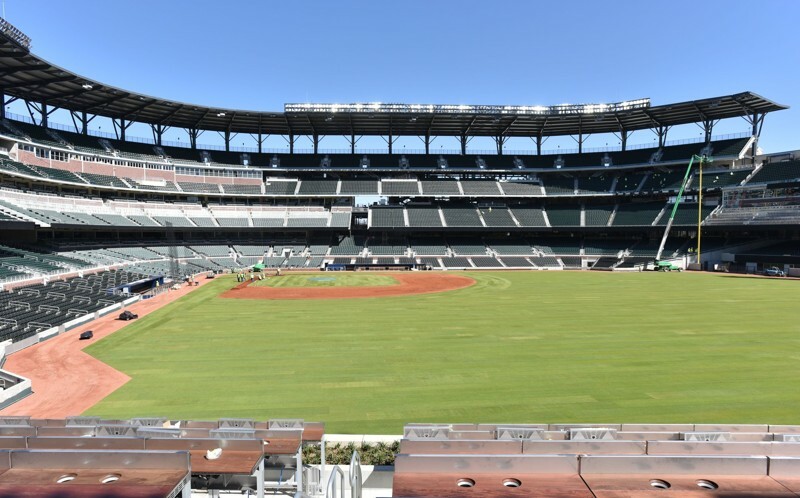 "Good 4 Cobb" is "Good 4 VBA": The move of the Atlanta Braves to Cobb County is good for the VBA. 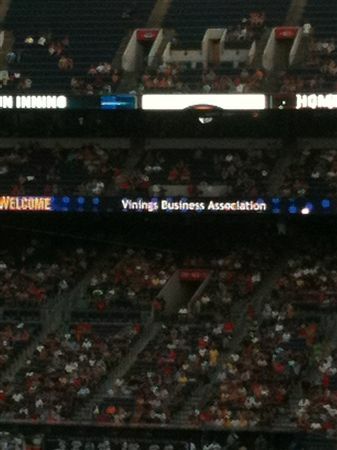 We are THE (only) Cobb County Business Association in the same Zip Code as the new Braves Ballpark. 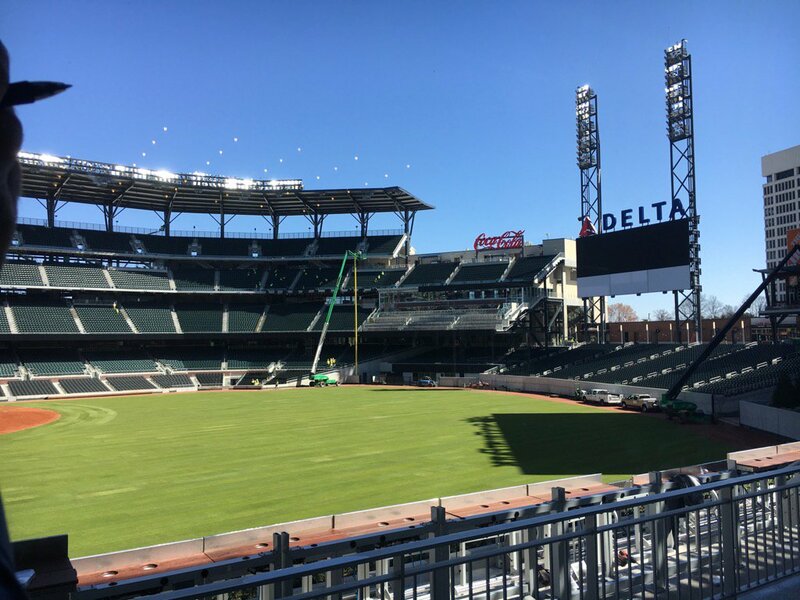 The VBA was represented at the inaugural reception, held by G4C officials, at the Circle 75 office building directly overlooking the new SunTrust Field complex. 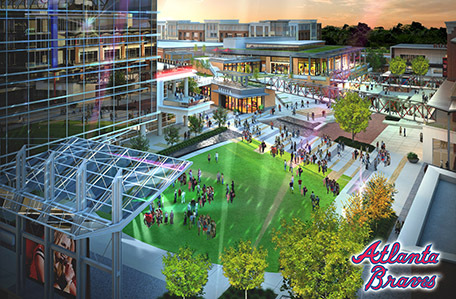 Latest estimates in Jan 2018 project a $1.8 BILLION development expenditure, and a new destination area in Cobb with shops, restaurants, accommodations, residences and 365 days-a-year access and activity. Look for new details soon. We Are: "The Most Interesting Business Association in the World!" (Ask the new spokesperson) Attend any of our events and find out why! ... Got It Going On! 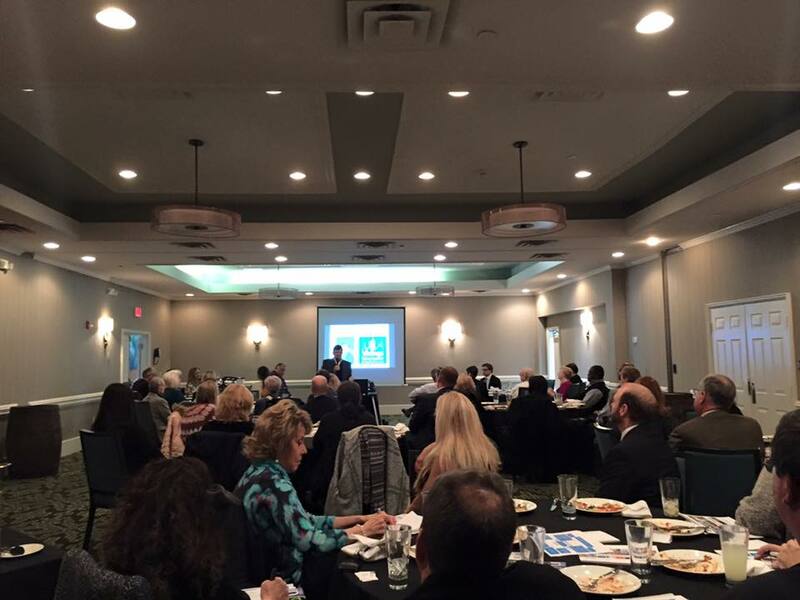 Vinings Business Association is a Non-Profit Corporation. Your membership may be tax deductible.